Do you think one can shop online without using a credit / debit card / an online bank account? Yes! at Indiaplaza.com its possible! In the pursuit of giving widest payment options for our beloved customers, we are hereby introducing Bank Transfer option. 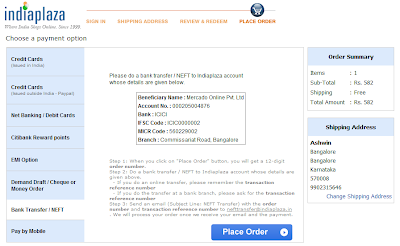 You can shop online at Indiaplaza.com, pay the money at any NEFT enabled bank branch and get your desired product shipped to home. It’s that simple! - Deposit cash at nearest bank branch, which is NEFT enabled. Make a note of transaction reference number. Our account details are mentioned below. 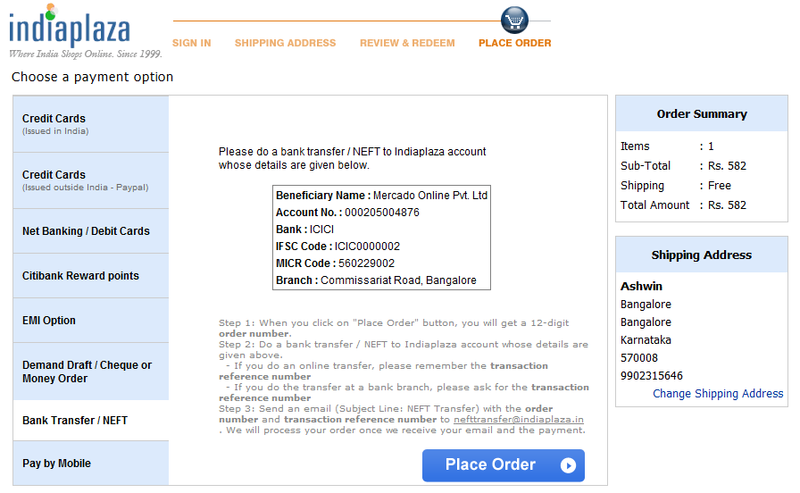 So if you don’t own a credit / debit card / an online account don’t hesitate, DO shop with CONFIDENCE at Indiaplaza.com. You have more reasons to shop NOW!